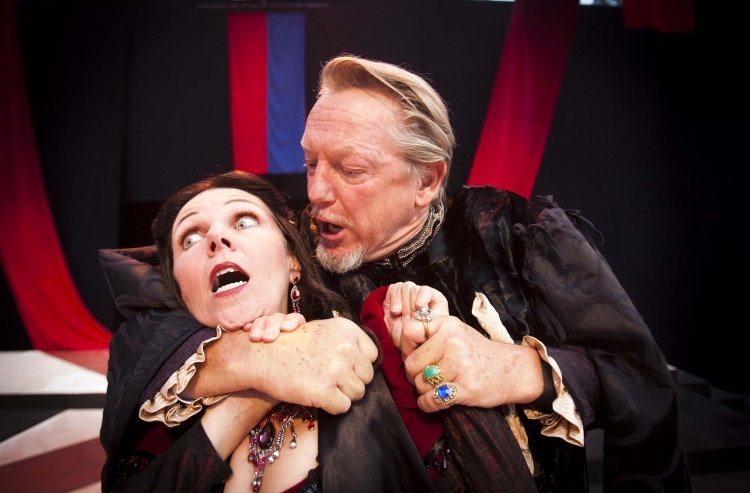 Shakespeare Orange County has announced its 22nd season, which will include Shakespeare’s Twelfth Night or What You Will and The Tragedie of Macbeth, along with several actors who will be returning to the SOC stage in 2013. Twelfth Night is the ultimate fairy tale. When shipwreck and storm deliver the beautiful Viola to the shores of Illyria, she dresses as a man in order to gain willful employment. A lost brother found, a bizarre love triangle, and a resolution of mistaken identities bring lovers together in one of the Bard’s most loved comedies. Veteran actors John Walcutt and John Frederick Jones return this season; Walcutt as Malvolio, and Jones as Sir Toby Belch. Macbeth, widely acknowledged as one of Shakespeare’s greatest tragedies, is a story of murder, corruption and deceit–and the pursuit of power, as potent today as it was in ancient Scotland. Macbeth depicts the struggle between honor and ambition, good and evil as the witches tempt Macbeth with ultimate power and the cunning Lady Macbeth prods him to murder. John Walcutt and Evelyn Carol Case, who both appeared in last season’s Richard III, will return in the roles of Macbeth and Lady M.
Over a forty plus year career of producing professional theatre, SOC Founding Artistic Producing Director Thomas F. Bradac has staged both plays on multiple occasions. “This season I feel confident that we can approach them from a fresh new perspective, giving them a new life for our audiences — even better than ever,” says Bradac. “We have the actors available in our company who are right for these roles, and plan to introduce some new faces as well.” Bradac will direct Macbeth, and co-direct Twelfth Night with his daughter Alyssa. Season tickets are available at www.shakespeareoc.org or by calling 714-744-7016. Shakespeare Orange County performs in the 550-seat Festival Amphitheatre located in Euclid Park, 12762 Main St., Garden Grove, CA. 92840. Performances for all SOC productions begin at 8:15 p.m. A special green show will be presented nightly at 7:30 pm, and free pre-performance discussions with Dr. Kent Lehnhoff will be conducted on selected evenings. Picnic areas are available. For more information visit www.shakespeareoc.org.